And we have our winners! To see the comments of our judge, director Lesley Manning, on all the shortlisted entries, click the 'Judge's Comments' tab. 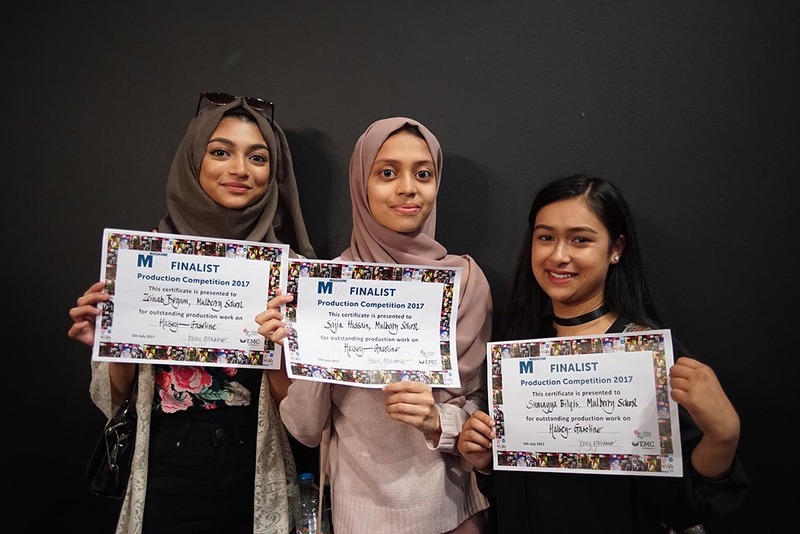 Once again, we were overwhelmed with entries, from an ever-expanding range of schools and colleges. Many thanks to all of you (and of course your teachers) for sending us your work. As technologies become increasingly sophisticated year on year, so does your brilliant work – we have had some tough decisions to make. The standard of work was outstanding, and every single production has demonstrated your hard work, skill and inspiration. Well done to all those whose work was shortlisted – it was an honour to screen your work at the Award Ceremony. 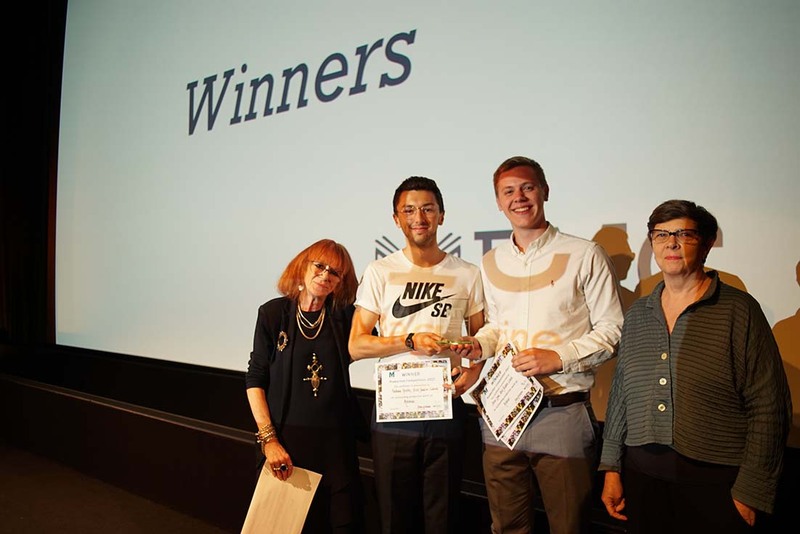 And to the winners – huge congratulations! 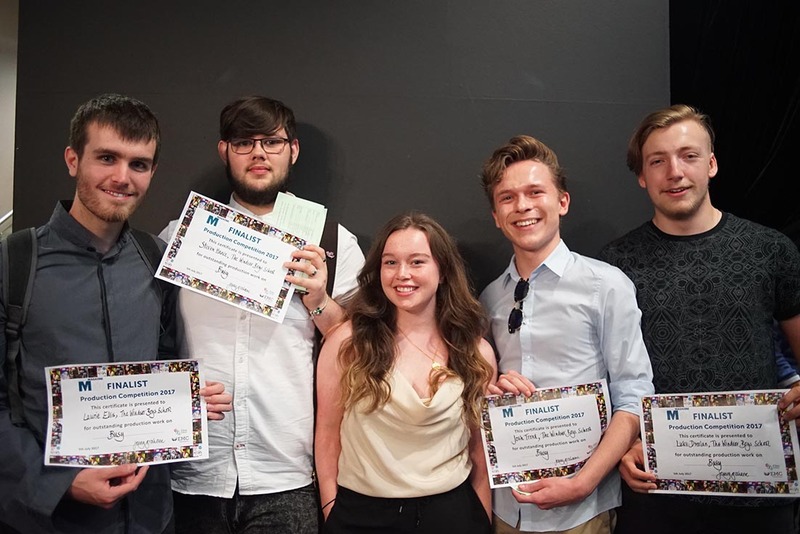 Judge's comments on 'Nest': This moving documentary from Long Road Sixth Form College was well put together and enveloped the audience in a real emotional journey. Judge's comments on 'Fast Car': This animated music video from St. John the Baptist School had a lovely original concept, well executed with a lot of heart. The content and approach was very entertaining. 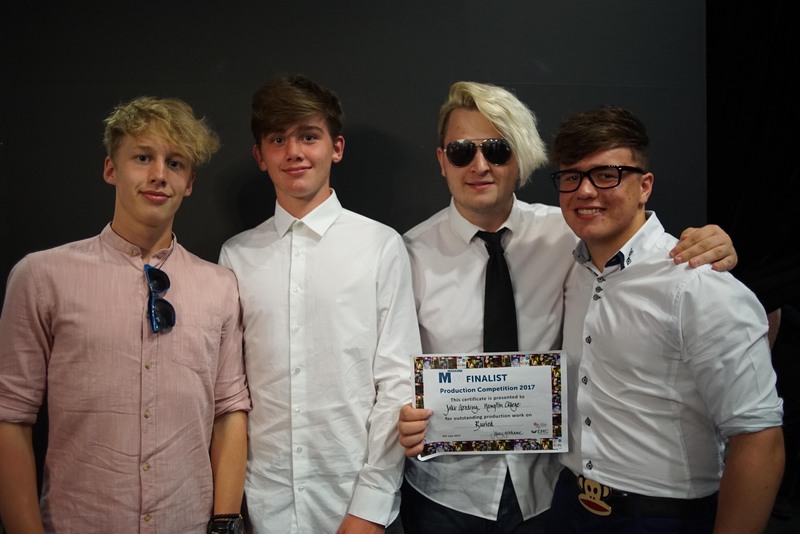 Judge's comments on 'Avenue': A comic music video from Great Baddow School – the filmmakers captured the massive energy and enthusiasm of the band, a great interpretation which was fun and lively. 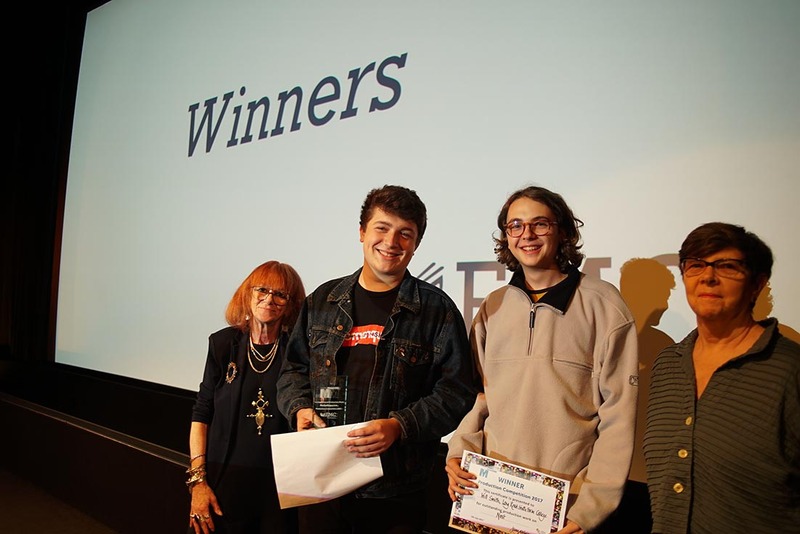 Judge's comments on 'Truth': This trailer from Royal Russell School featured beautiful photography and excellent editing and strong sound design, using song, effects, dialogue, and shock sound track. What an inspiring end to the term! This short film from St. John the Baptist School was notable for its crisp interesting photography, good framing and the use of lipstick writing which worked well as a device. Good work! 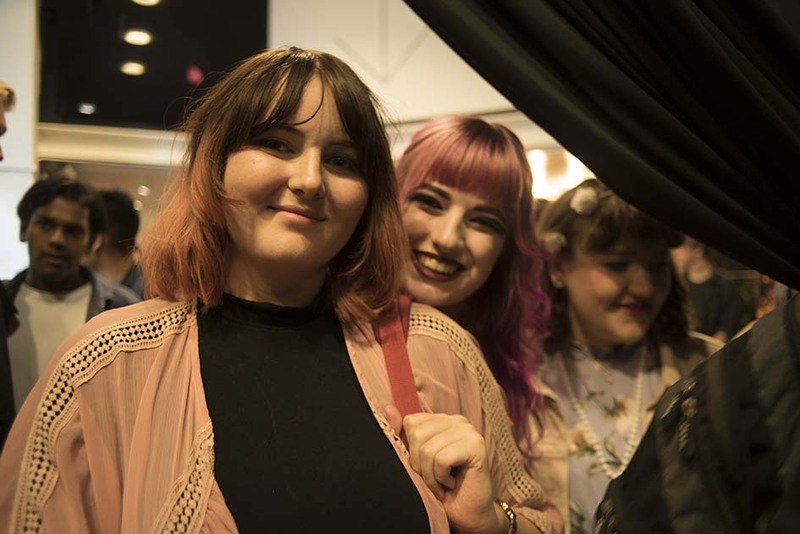 This short from Long Road Sixth Form College was notable for its lovely experimentation with layering and superimposition creating an unusual atmosphere. Keep experimenting! The world’s your oyster. This documentary from Elliott Hudson College was a great fresh bold look at feminism – keep thinking and making! This complex trailer from Maidstone Grammar contained dramatic angles, and a strong running sequence which was well thought out. Keeping your story clear keeps your audience engaged – I was very impressed that they got their actress to run barefoot! From Whitefield School, this film opening with a Blair Witch approach, contained good graphics and strong close ups. The effect of the stitched mouth was particularly impressive. This music video from Hurtwood House demonstrated lovely attention to costume, design and choreography. It was nice to see the instruments as part of the concept and the cut. Consequently, a very rich music video, very polished. This music video from Latymer School featured split screen and interesting graphics, a clean concept followed through. A music video from Mulberry School with impressive graphics on a digital eye. This trailer from Graveney School had good graphics, great characterisation and clear motivations from the acting with a story clearly told. 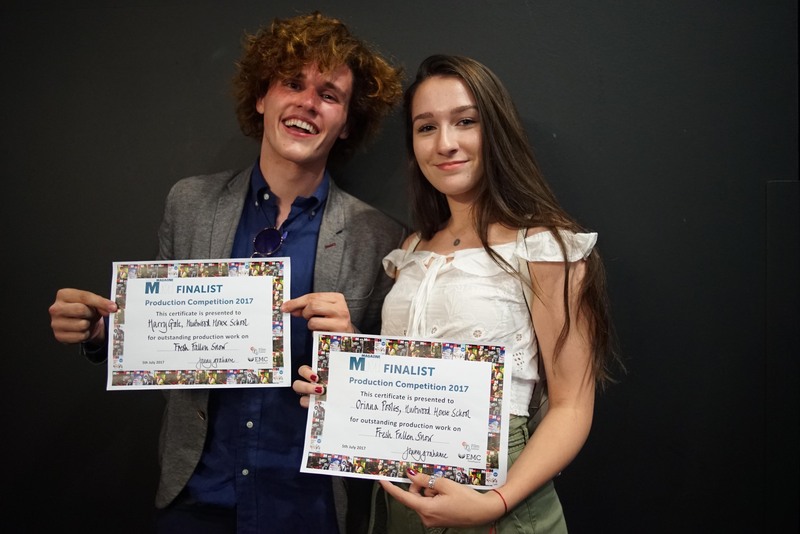 This short from Queen Elizabeth’s Sixth Form College in Darlington showed good restraint on the opening shots and sound track – creating tension, with good performances and action well told. This short from St. Mary’s, Gerrards Cross featured lovely sound work and good editing. Lesley particularly liked the concept of being stuck in a game. This trailer from St. John the Baptist featured great shot choices – I particularly loved the cinema footage. This film opening from Finham Park School featured some lovely close up photography and a lot of good ideas. From Hurtwood House, a film opening with a good storyline nicely plotted and edited with a great deep two shot – very well done – keep going. A music video from Windsor Boys School was a nice idea - busting through walls to different times and very difficult to pull off period film making with limited budget and resources – so congratulations on that. This very glossy music video from Hurtwood House featured lovely stark lighting – keep pushing your ideas forward. Technically very adept. In this film opening from Hurtwood House, there was a good selection of shots, well worked out. This short from Hampton College featured a good pay off. There was some impressive photography and some great acting. These two adverts from St. John the Baptist School contained good montage cutting and clear story telling. There was very clear and good photography with great camera choices. This short from Bradfield School was a good concept and contained lovely drawings in the diary. The girl disappearing was very nicely achieved. Well done. This music video from Windsor Boys School made good use of the texting motif and some good story telling. WHY DO YOU ONLY CALL ME? This black and white music video from Akeley Wood School made good use of widescreen and jump cuts.